In a medium size mixing bowl combine the flour,orange zest, and poppy seeds. Add in buttermilk, orange juice, and egg. Add additional oil as needed. Combine all ingredients in a small sauce pan and bring to a simmer. Simmer at least 15 minutes until the cranberries have burst. Strain the cranberries from the syrup and simmer for 20 minutes until it has reduced by half. 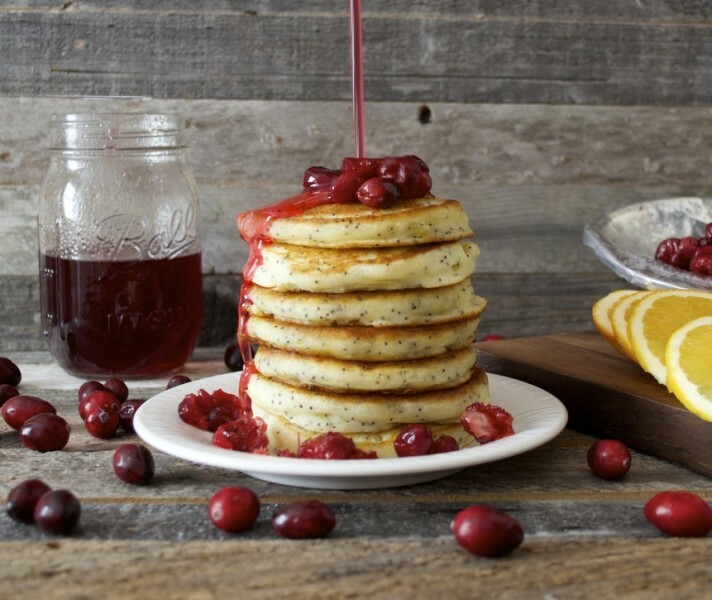 Serve syrup warm or room temperature with pancakes or waffles. Garnish with cranberries if desired.